If you are in the curly hair girls club then this article is for you. 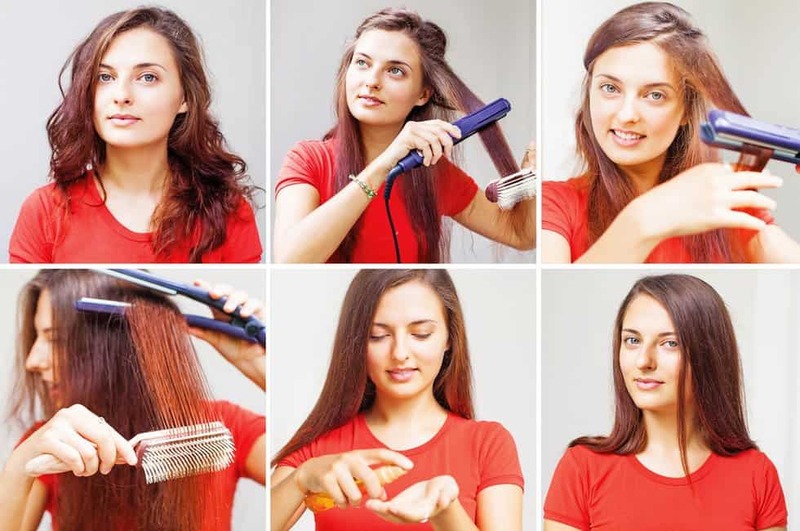 We will talk about different ways you can straighten your hair with heat and without heat. As we all know by know heat is very damaging for our hair. It dries it out, makes it lose its natural oils and is overall just bad for your hair when you do it too much. Our hair is a part of our body that requires a lot of getting to know in order to work with it instead of against it. If you have very thin hair then maybe volume is what you are looking for or if you have too much volume then a sleek straight hairstyle might be what you want. If your hair is already very damaged due to dying or styling it in excess then I would recommend avoiding anything that will apply heat on your hair. 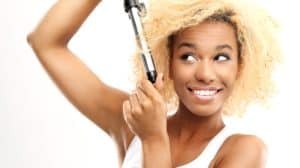 One of the reasons that curls sometimes become untamable is because we have been styling it wrong or with very aggressive products and methods. Sometimes we just need a change of style and these tips are great for that. If you are a person that straightens their hair every day and don’t want to stop, try maybe first straightening it every other day, and then every three days and so on. Make sure it is not brittle: If you do have split ends or your hair feels damaged give it a break from products that you are using for a week so you can achieve the best results when straightening it. It’s also good to have it cut. Hydrate your hair: Apply an overnight mask to your hair and put a cap on to sleep with it. Rinse the next morning and proceed to straighten your hair. Clean hair: Make sure your hair is clean before attempting to straighten it since any residue of a product may damage your hair. 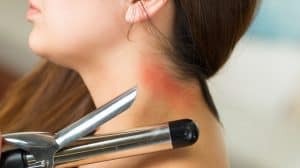 CAUTION: The methods listed with heat treatments will damage your hair a little bit so do not exceed the recommended times that are advised in this article. Wash your hair as usual and apply a heat protecting cream. Let the hair air dry a little bit and blow dry it completely dry on a medium heat on a high fan setting. This will already take most of the curls out of your hair. Pass the hair straightener through a small section of hair. You must not pass it too slow or too fast. If you have medium length hair it should take you about 2-3 second to go through the section. Repeat this process with small sections of hair until you’ve covered everything. Then move to the next big section. It is recommended to leave the front of the head to the end. So you work your way from the base from your head to your forehead. You can repeat this process at the end to retouch the areas that you think are not completely finished. Apply a silicone of an oil to the hair to seal it so that the hairstyle last longer. Depending on where you live and what your climate is like it can stay up to a week. If your climate is very hot and humid you’ll probably need to wash it earlier since it will get frizzy. All natural tips can be great but sometimes we do need to use something more invasive. Here are listed some products that will help you minimize the damage you could do to your hair. There are many types of straightening irons so it will be up to you to decide which one works best for you. The positive things of this brush are that it does the work of a brush and a straightening iron in one. It also has a heat protection control which turns the brush off when it gets too hot which makes sure you don’t end up with burned hair. This hair straightener draws the natural oils of the hair to lock the moisture. The plates of this hair straightener heat up from the inside which means that it distributes the heat evenly. The plates are also floating which means that they are able to move and adjust to the needs of your hair. Heat resistant sprays are the base for straightening your hair when you are using a blow dryer of a flat iron. These sprays help with your hair flexibility to re-shape. The protection is heat activated therefore it will create a sort of shield on your hair to prevent damage or burning. This brush is a great thing to add to your straightening routine. This brush reduces frizz while blow drying and ironing the hair and is heat resistant which means it won’t end up burned if you hit it against the flat iron. This option is very healthy for your hair and is the more you do this the better the results will be. Make sure you wash and condition your hair but don’t overdo it. Clean it as normally. Pull your hair back into a very tight ponytail while it’s still humid from there make a bun so that that part of the hair remains humid. Make sure you make it as tight as you can. Get a thin tooth comb and use it tix the areas that are not straight. take the ponytail out and brush your hair. Your roots will be dry and straight and the rest of your hair should be curly/wavy and humid. If it’s not humid anymore grab a spray bottle with water and spray the ends a bit again. You do not want to spray on the roots since we just straightened them. Put all your hair back and grab one-inch sections and brush them out thoroughly. Wrap it around your forehead like a headband and secure it with three or four bobby pins. Continue to take 1 inc sections wrapping them around the forehead and securing it. It will end up looking like a swimming cap. Once you have done your whole hair wrap a scarf around it to secure it. It is best to use this method before going to bed so that you can sleep with the hair wrapped in a scarf. Take the bobby pins out the next morning and brush your hair. You can apply a serum to the ends to give it a more silky effect. This method is damage free but does require a bit of trial and error to learn to wrap the hair. You want to keep the hair as straight and flat possible for the best effect. This option is very popular since it is very long lasting. You can get this done professionally at a beauty salon or you can buy your own keratin and do it at home. There are different types of Keratin treatments. Some can be done in a day but some can also require up to 48 or more hours. Brazilian keratin can be done at home or at beauty salons you can buy a keratin pack at your local drugstore or order it online. I recommend you use the ones that do not contain formaldehyde since it’s a very abrasive chemical. Make sure you have a space with good ventilation and that you open windows and doors while you are applying and wearing the keratin. You will not be able to wash your hair for at least 48 hours but it would be best to wait 72 hours. Wash your hair as regularly and wait for it to air dry a little bit. Read the instructions of the keratin package to see how much to use. Since your hair is still full of keratin it will take a long time to blow dry it. Do not rinse the keratin out at any point. Keep blow drying your hair until it’s completely dry. Divide into sections and slowly straight iron your whole hair. Let your hair dry and do not wash it for 72 hours. Do not put your hair behind your ear during those 72 hours or even the first week. This will leave marks in your hair. Do not wear any ponytails, buns, pins or anything that can mark your hair for the first week. Use a good conditioning mask the first time you wash your hair after this process since this is still a bit damaging on the hair depending on which product you use. The less you mark your hair with scrunchies, pins, sunglasses or headbands, the longer this treatment will last. Usually, if you take good care of it it can last about 6 months. I would not recommend doing a keratin treatment more than twice a year since it still damages your hair. If you are a person that dyes her hair make sure to dye it a week or so before doing the keratin treatment. Do not dye your hair after a keratin treatment since this would damage your hair A LOT and the hair dye will not enter the hair evenly. Wait at least a month after doing a keratin treatment to dye your hair. If you can wait longer it will be better since dying your hair strips the keratin out of it. Get a good quality hair straightener. Get the right brush and comb for your hair. If your hair is very thick you’ll need a thin comb to be able to straighten all the hair. If you have normal to not so much hair a good brush will work well. Use a heat protective serum/spray. Use a silicone or setting oil after straightening it. Use a wooden comb or brush. Our hair can get frizzy by the type of brush we use. If you feel like your hair has a bit of electricity consider changing to a wooden or bamboo brush. There are different ways to straighten curly hair, I hope one of these methods listed has helped you in some way. Remember that it is best to let your hair be as it naturally since that is what will cause no damage to your hair.